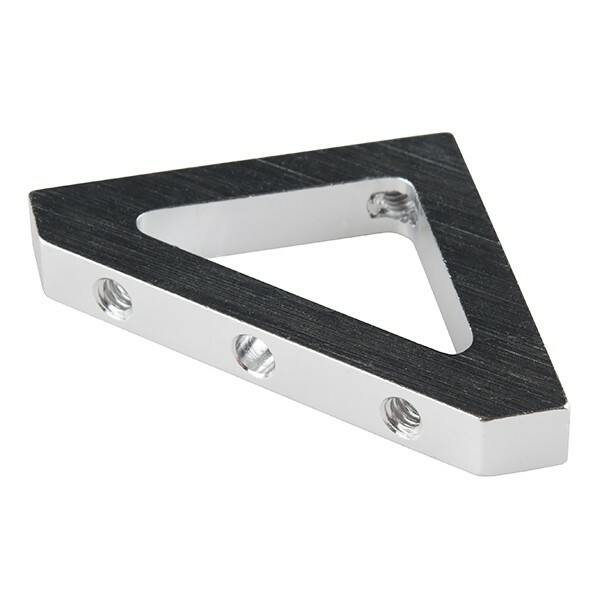 Description: These angle brackets are perfect for attaching two Actobotics aluminum channels together at a 90 angle. Each side of these brackets offer two 6-32 tapped mounting holes spaced 1.061" apart with the long side also offering an addition 6-32 thru-hole. These brackets have a base of 1.61", a height of 1.40", a flat angle length of 1.61", and a thickness of 0.25"
Flat Angle Length - 1.61"